Starting in Sept 2018 all NWB will reimburse our customers for the first month of health insurance through Nationwide Insurance. We have been asked many times over the years if we knew of a good policy for puppies and until this year I had not seen any that stood out amoung the rest until we were referred to this one. This is hands down the best coverage I have seen for a very reasonable price. We currently have no NWB babies available. We have litters coming Spring and Summer 2019 but we are no longer taking deposits for Spring and Summer. 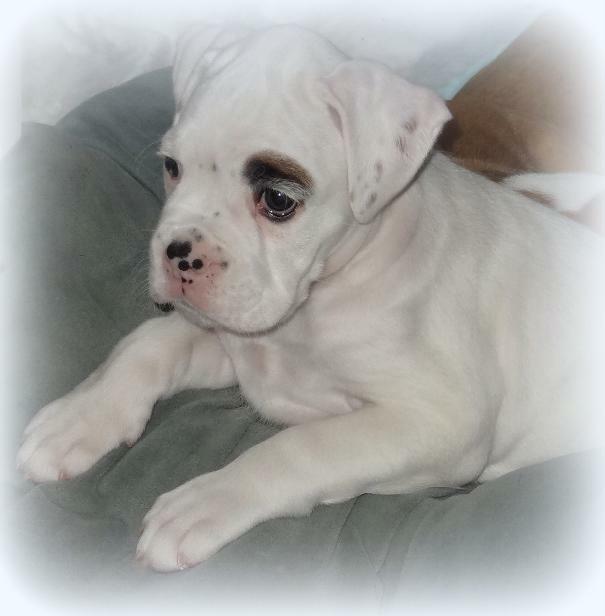 We do have some trusted breeder friends with upcoming litters you can see the Details on our page titled AVAILABLE PUPPIES FROM TRUSTED BREEDERS. Please contact us for details 207-465-3052. We are still taking deposits for Fall and Winter babies at this time. 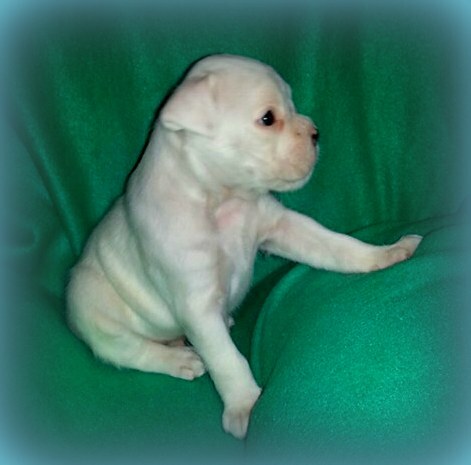 Pictured above....Northwoods Diesel owned and loved by the Lawnizak Family he is an Olimpio baby. Pictured below is Trueman and his baby Arrow owned by the Leonard family in CT. and Fiona, we could not part with her so she is here with us at NWB. 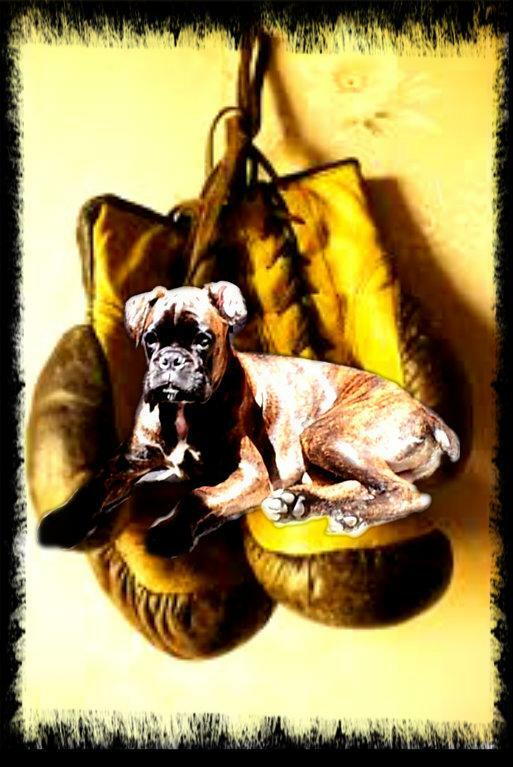 The exceptional quality of our Boxers is obvious in their offspring. ...IT'S ALL IN THE GENETICS!!! 3 Year Health Guarantee With Each NWB Puppy! 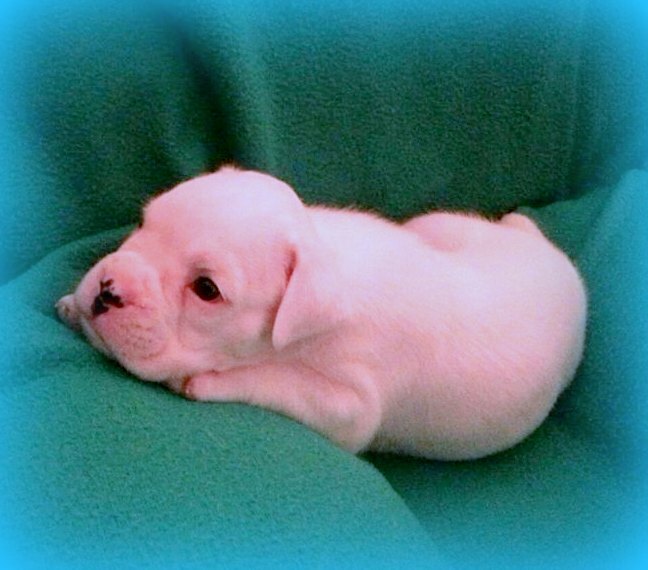 Northwoods Boxers has extended our 1 yr health guarantee for puppies purchased starting April 2011! 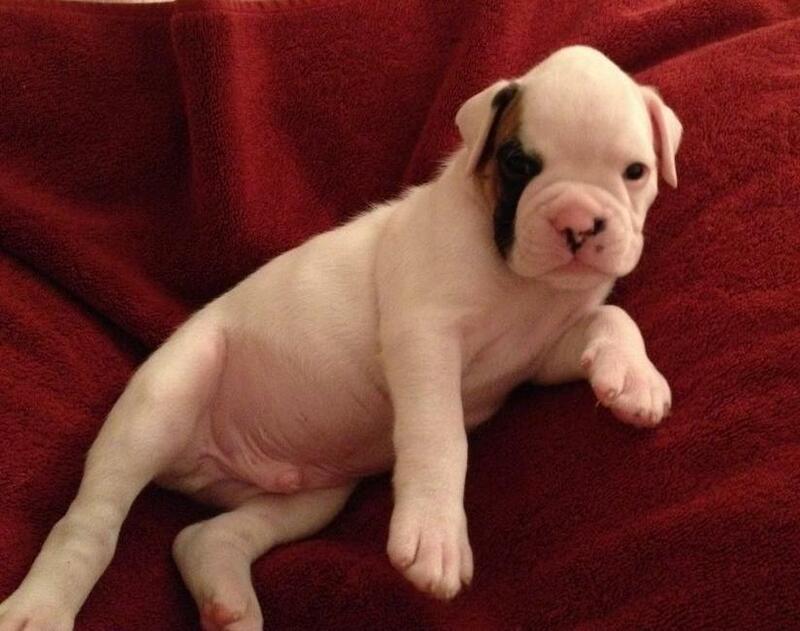 We have always included a 1 yr Genetic Health Guarantee with our puppies. To prove our commitment to our clients and our belief in the health of our puppies, we have decided to extend our genetic health guarantee for an additional 2 yrs for heart, thyroid and hip dysplasia providing our NWB families with a total of 3 yrs protection in writing against genetic defects of the hips, thyroid and heart, this is great peace of mind protection! Quite often, these "cheap puppies" end up costing the unsuspecting public more than a well bred puppy that was raised and loved by a reputable breeder who does the proper testing and research and who breeds only the best of the best to produce the total package of health, intelligence, great looks and temperament. Longevity and quality of life is our goal and we stand behind our lines. Sadly, many unsuspecting puppy buyers who go in search of a "cheap puppy" end up paying much more in the long run when they buy a "cheap puppy" because many of them end up spending thousands in vet bills, for issues like mange, allergies, heart problems, Digenerative Myopathy, and many other common ailments that plague boxers, their entire families also pay a huge emotional toll as they watch their beloved boxer suffer and often times expire or need to be euthanized due to these afflictions. I have heard plenty of horror stories, enough to last me a lifetime. 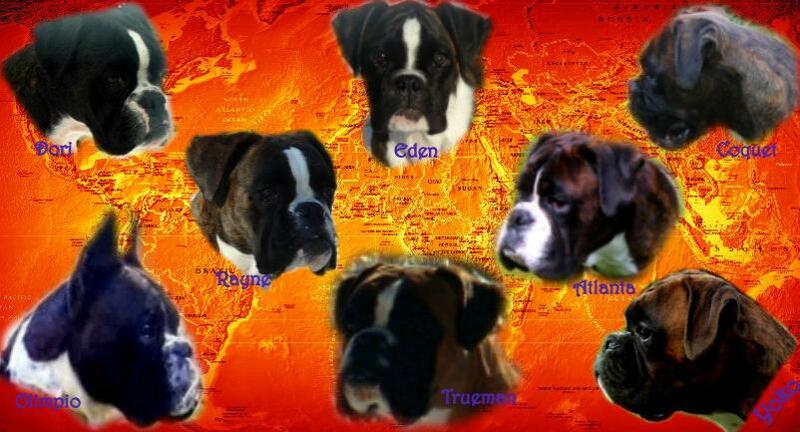 One last word of advise, our prices are very comparable for European Boxers from other US breeders however, there are plenty of breeders who charge prices similar to ours and they do not have the same quality of boxers that we do and they do not provide the quality of time and care that we do, they have also not done the research on their breeding dogs, please be cautious and ask questions before purchasing your Boxer puppy. The State Of Maine requires all puppy buyers to pay 5% Sales Tax. As of Oct 1, 2013 the rate increases to 5.5% Sales Tax. The puppies below have all been placed we do have several exciting litters planned for 2016! Please contact us at 207-465-3052 for details. Reserved for the Coogan Family! Reserved for the Rintoul Family! Reserved for the DiNatale Family. They will be adding their 2nd NWB baby to their family. Attention: We have decided to go more with the European Standard and leave the dew claws intact on all future NWB puppies. We based our decision not only on the look but on the health of the dogs as well. There has been a lot of controversy recently about dew claw removal. If you would like more info, just ask we will be happy to provide you with some links about the many dangers and negative aspects of dew claw removal. people to your website. He makes walking down a street almost impossible. Please remember, any breeder can claim to have the best puppies. Of course we love to brag about our amazing boxers because we are very proud of them and the babies that we bring into the world. But the very best way for you to learn about our Boxers, our breeding program, the environment that our puppies are raised in, the care we give each puppy, our commitment, our support after you take your baby home and of course the quality of our babies, is to hear it from our actual puppy owners. we feel that the words of our puppy owners are the best advertisement we could ask for:) That is why we have created our testimonials page. If you would like to personally speak to any of these people, feel free to contact me. Meet NWB families and their babies on our NWB FB page. 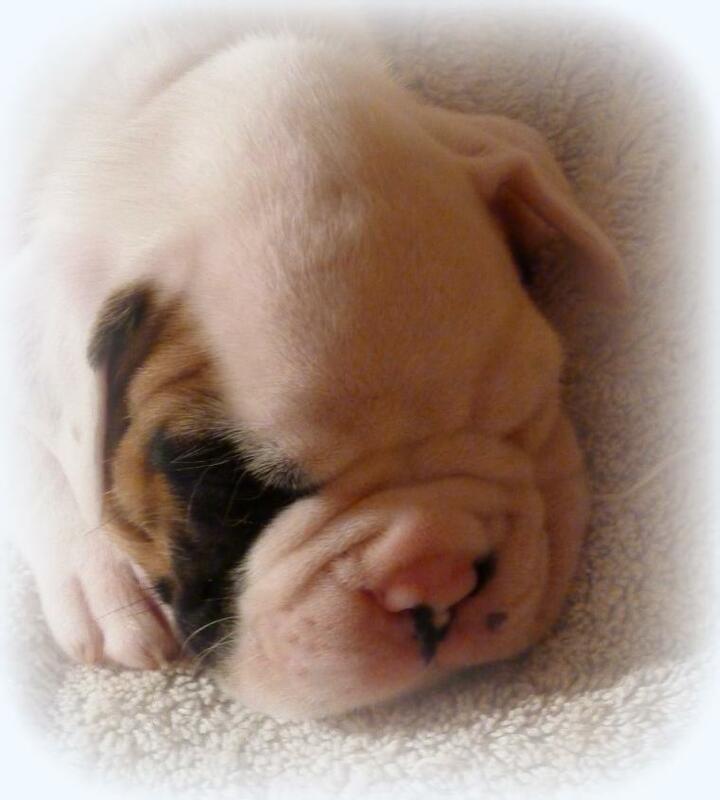 This page is exclusively for NWB puppy owners, their friends and families. We started this page last Fall and it is a lot of fun as well as being very informative informative. Our puppy families are able to stay in touch with each other share pictures and watch the progress of their puppy's litter mates. Many new and lasting friendships have been formed on our FB page and it is also a great place to talk to many of the people who have written us testimonials. You can also find out if we have puppies near you and set up puppy play dates! We have put together a puppy package for our new puppy owners with items from our sister site at a highly discounted price to check it out click here! 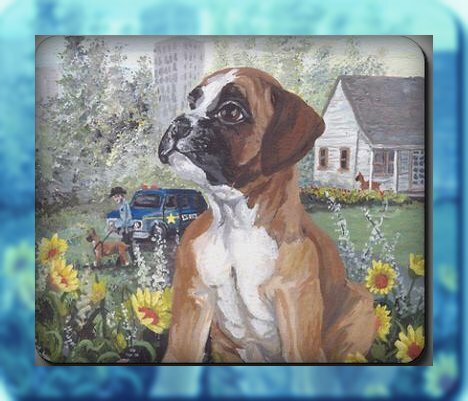 Northwoods Boxers will not sell puppies to Puppy Mills, Puppy Brokers or Pet Shops we reserve the right to refuse the sale of any puppy to any person for any reason. In order to be considered for a puppy you must complete a phone interview and a puppy application. We are very selective about where our puppies are placed, not everyone is approved. or that's a lot of money for "just a dog." They don't understand the distance traveled, the time spent, or the costs involved for just a dog." Some of my saddest moments have been spent with "just a dog,"
phrases like "just a friend," "just a sunrise" or "just a promise." early, take long walks and look longingly to the future. fond memories of the past, and the pure joy of the moment. keeps me from being "just a person."